Injustice Gods Among Us is an Action Game for Android. 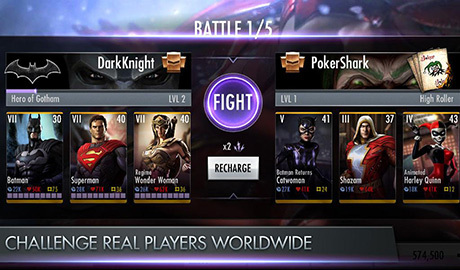 Download Last version Injustice Gods Among Us APK + MOD (Stamina,Coins,Credits) + Data (Aderno,Mali,Tegra,PowerVR) for Android from RevDl with Direct link. 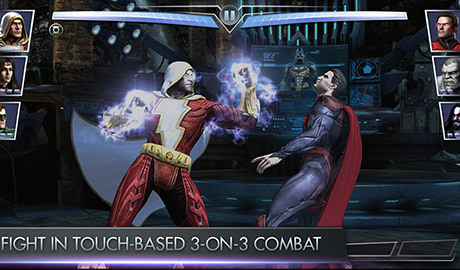 Injustice Gods Among Us is a fighting and action game for android. it this game players control characters with different fighting styles and special attacks. 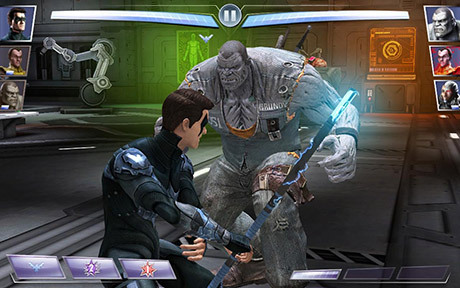 the game has control layouts of light, medium, and heavy attacks. characters perform special moves and participate in attacks, and also they may hit by the opponent. in the game the character’s “super meters” will fill. this portion can use to execute enhanced special moves or counter enemy moves and etc. Thanks, is the mega mod coming too ? what different betwen apk MOD and apk MEGA MOD? Mod working or not in adreno GPU? why did you stop the god mode?? MOD is not working !!!! Not able to buy any stuff . **Did it worked for anyone else ?? if yes then please do reply !!! cant wait to play the game…. ** I run ADRENO GPU…. It worked for me . I m also runing on adreno gpu but i cannot go online. Is this game was offine ? couldnt but character by money. how to buy charater in this mod ? Mods not working properly. ..have infinite money but, if I buy anything, It doesn’t appear in my collection and stays in the store. The booster packs I buy don’t open too..
where do i put the data? Android>Obb (If the folder “obb” doesn´t exists, create it). For tegra verion theres no MOD apk. Which one should I download?